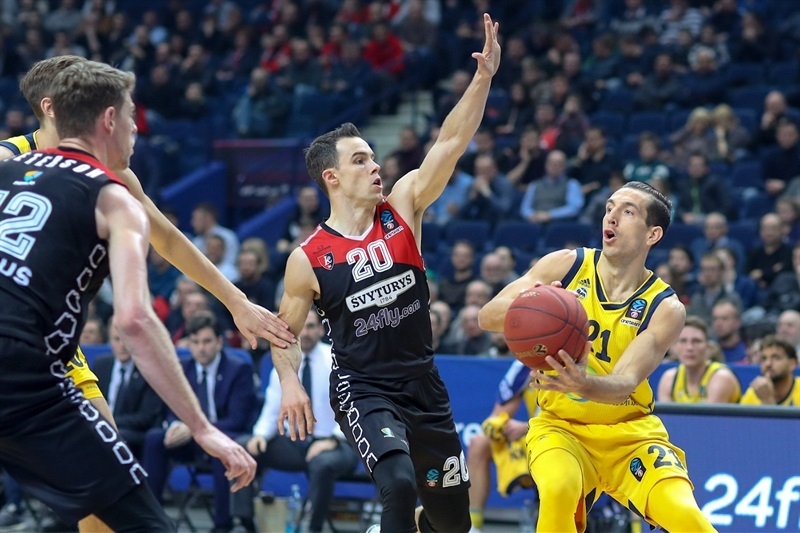 Lietuvos Rytas Vilnius put Group C's second place in play on Wednesday by outgunning ALBA Berlin 94-73 for a victory that thrilled its home crowd in the Lithuanian capital. Rytas, ALBA and Limoges CSP all have 5-4 records now and all three were qualified previously to the Top 16. The 21-point difference gave the hosts a tie-break advantage over ALBA, so when it travels next week to play Limoges, Rytas can take second place with a victory. 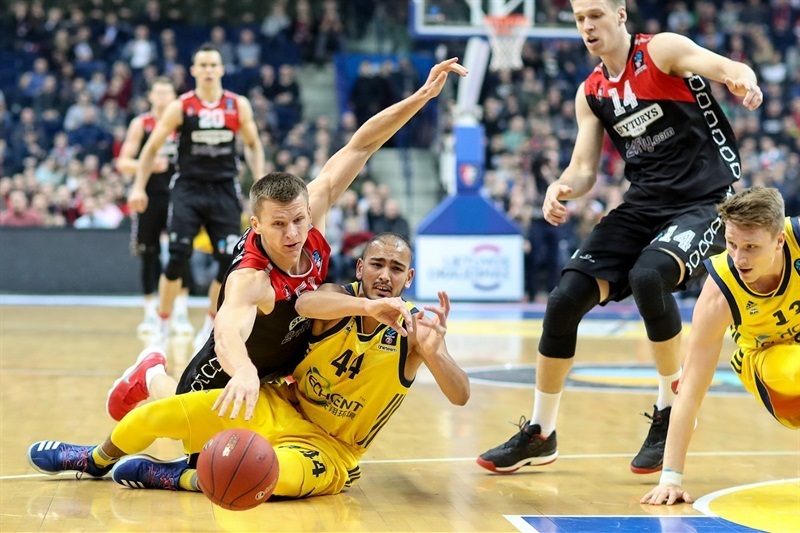 On Wednesday, the most points for Rytas this season came with 26 assists, tying the second-most in the club's long EuroCup history, as six different players dished 3 or more. Travis Peterson canned 4 three-pointers on the way to 21 points. Ben Magden followed with 19, Mindaugas Girdziunas with 14 and Martynas Echodas with 10. 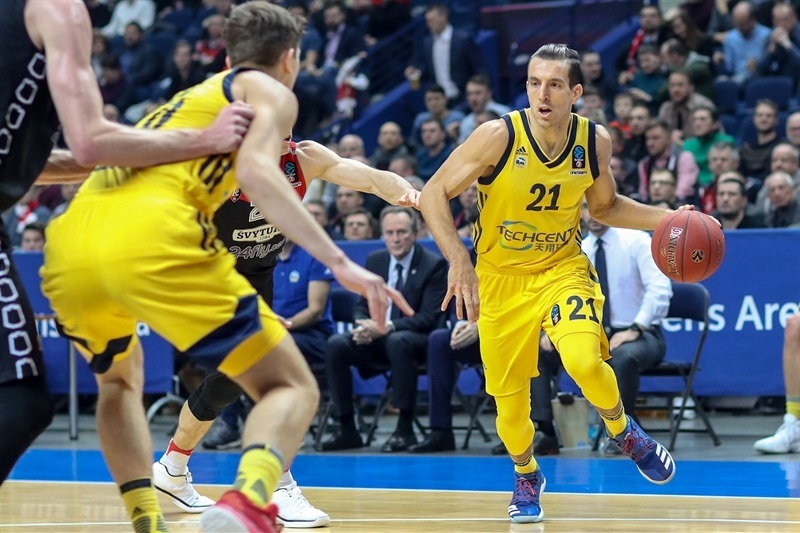 Bogdan Radosavljevic paced ALBA with 14 points, while Niels Giffey had 10. Peterson's triple and 3 buckets inside by Echodas shot Rytas in front by 11-5 right out of the chute. Arnas Butkevicius, in his first action all season, added free throws to the lead. ALBA had 6 turnovers in 7 minutes by then and only a single field goal, a triple by Stephan Peno. Spencer Butterfield soon joined him from deep, and then Radosavljevic added a free throw to his team's first two-pointer to suddenly make it 14-13. Jimmy Baron dialed up a long three then, however, as Rytas stayed ahead 18-13 after 10 minutes. 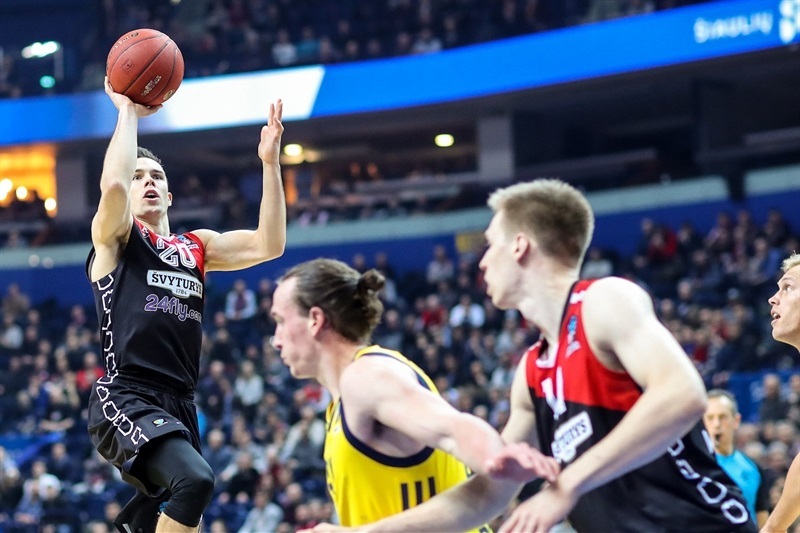 The three-point parade continued with Magden and Rokas Giedraitis hitting for Rytas on either side of one by Bennet Hundt for ALBA. 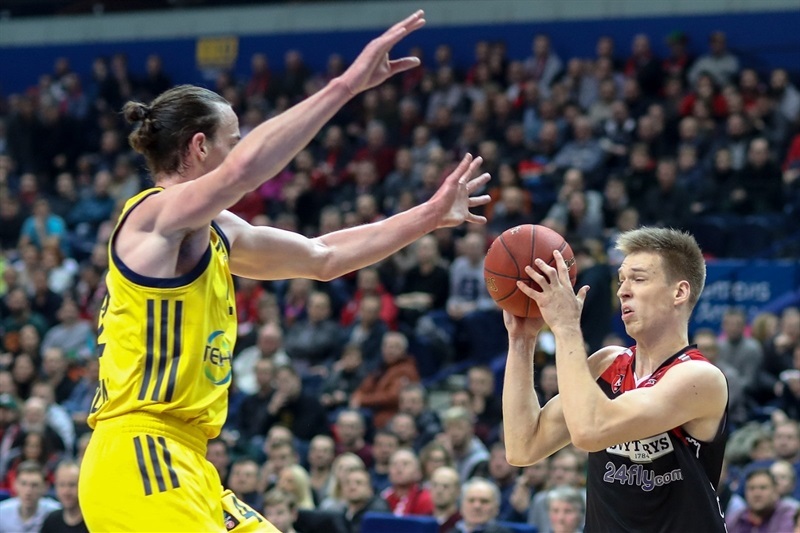 Marius Grigonis for the visitors and Girdziunas joined the party but Rytas also hit two-pointers and Magden reappeared in the corner as the difference soared to 34-22. 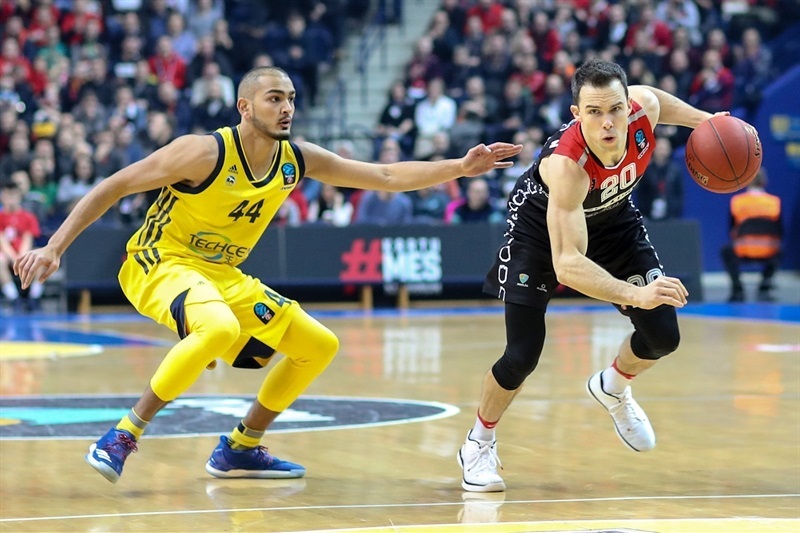 Dennis Clifford and Peyton Siva lifted ALBA with big baskets, but no one stopped Magden, Echodas and Peterson at the other end as Rytas went up 40-27. Siva drilled a triple before Luke Sikma and Peterson traded buckets to bring the score to 44-35 at halftime. Some physical play after halftime gave way to Butterfield firing in from deep to suddenly make it 46-40. Rytas got the message and responded. First, Butkevicius drilled a corner triple and made a pair of nifty assists. Then Peterson and Girdziunas both struck from downtown in a 15-2 run that made it 61-42. 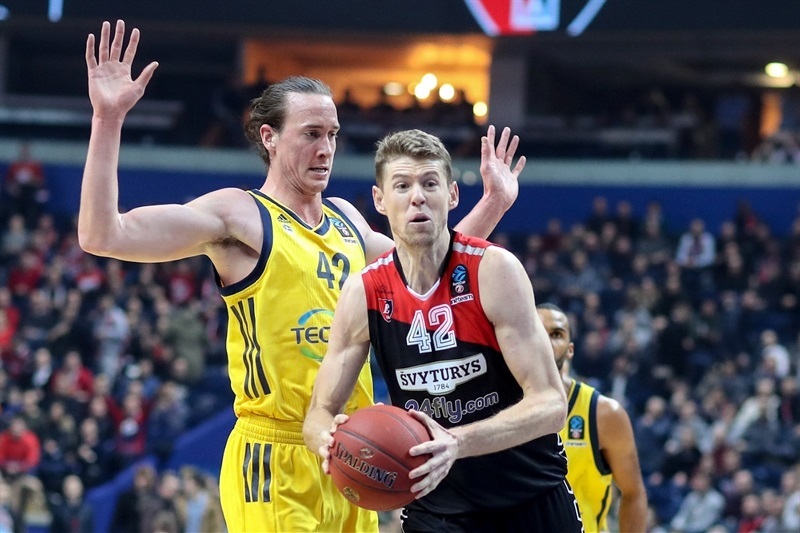 After that, Rytas was content to trade baskets and eventually went up by 20 points after three quarters, 69-49, after Giedraitis blocked one shot and drained another. Peterson's back-to-back threes resumed the Rytas scoring show in the fourth quarter until Magden scored 5 points in a row to make it 82-56. 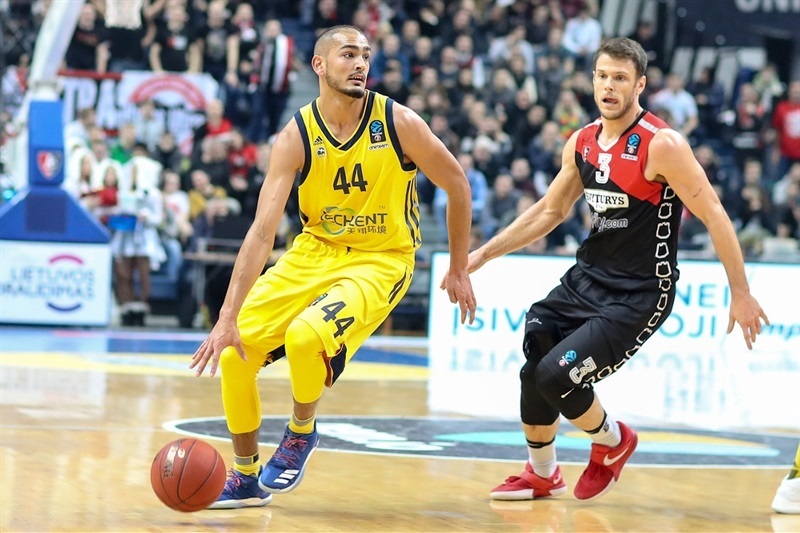 Grigonis and Hundt started a 0-10 run for ALBA that made it 82-66. But Margiris Normantas stepped up with 5 points in a row as Rytas and its fans enjoyed a big win and a possible inside track to second place in the Top 16. "Today, it was a good game. We played 40 minutes with concentration. We used a lot of effort to get a good result. We are much, much better than a couple of months ago. Better as a team, better at controlling the game. It happened that today that 12 players got to play and everyone got some minutes. And the most important thing is that no one was injured." 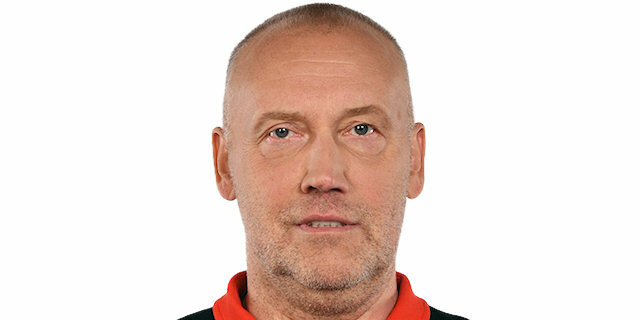 "I must congratulate Rytas not only for the win, but also for their great intensity. We didn't have it. 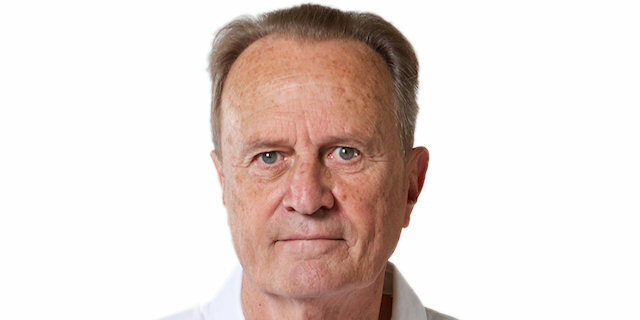 Perhaps we are not as good as them physically and we did have a couple of injuries in our roster."